Packaging Type: Strong wooden creates. We are engaged in manufacturing a wide range of basalt blocks. We offer Basalt Stone Block to our clients. 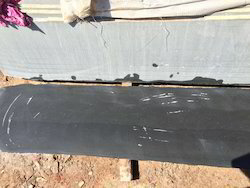 One can avail from us a quality tested array of Basalt Block. The Basalt Block we offer is processed under the skilled expertise of our professionals, as they have advance knowledge of domain. Besides, one can get these products in given time bound that too after testing their quality under rigorous measures. We are a well-known name, involved in providing an extensive series of Basalt Round Block. Our product is extremely employed by customers owing to their sturdy nature. CAST BASALT is produced by melting basalt rock and then shaped into tiles or cylinders. The special heat treatment process forms a fine crystalline structure that gives CAST BASALT its outstanding qualities to resist sliding abrasion. CAST BASALT is used to enhance the life of various process equipments in power plants, steel and cement plants.